Rich and Sharise's story spans five years, four states, and more than 2,000 miles, so we'll try to keep this short...and add a few photos for your viewing pleasure. 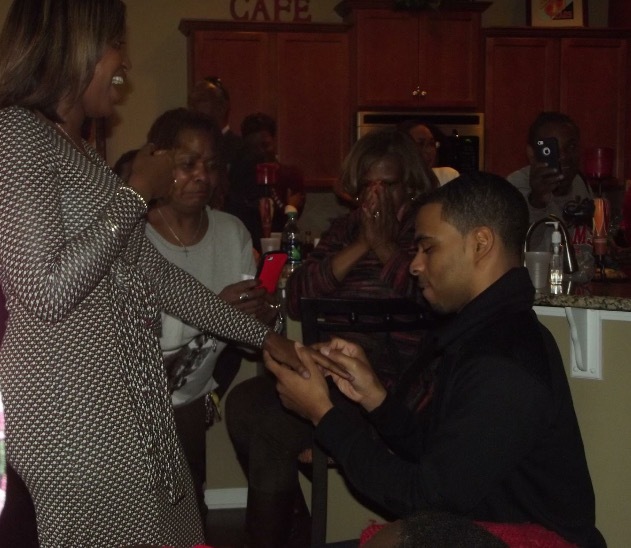 Sharise & Rich's story begins at their "Home by the Sea", better known as Hampton University. On a cold winter afternoon in January of 2010, Rich and Sharise stood in the financial aid line as they prepared for the second half of their Junior and Senior year. Sharise wasn't happy about having to stand in line, and sat next to Rich with a not-so-kind look on her face. Rich, with his humorous personality, turned to Sharise and inquired about the pitiful look on her face. Shocked that Rich had the audacity to even ask her why she was mad, Sharise was immediately intrigued. The two sparked a conversation, started following one another on Twitter, and spent that evening engaged in hours of discussion as they began to learn about one another. Fast forward to June 2010. Sharise was a recent grad of Hampton University and accepted her first job as a reporter at KJRH-TV in Tulsa, Oklahoma. Nearly 1,300 miles apart, Sharise and Rich relied on technology--cell phones, Skype, Facebook, and text messages-- to keep in touch. Unfortunately, with Rich finishing his tenure at Hampton University, and Sharise busy starting her career, conversations and Skype sessions began to fade. They soon made the decision to part ways. Between 2010 and 2012 life happened. Rich enjoyed college, graduated from Hampton, and began working in Maryland. Sharise pledged Delta Sigma Theta Sorority, Inc., worked as a reporter for a year, and moved back to Atlanta to begin a career in Public Relations at AT&T. Over the years, Rich and Sharise remained friends, often spoke on the phone, and occasionally ran into each other at Hampton University homecomings, but that was the extent of their friendship. In June of 2012, Sharise decided to attend Atlanta Greek Picnic with her Sorors, but little did she know that Rich was headed to Atlanta to enjoy the festivities with his fraternity brothers. And just like that, they bumped into each other at the picnic, exchanged numbers, and reconnected during the weekend. Throughout the next year, Georgia stayed on Rich's mind, and in June of 2013 he moved to Atlanta as he and Sharise began their courtship. Rich and Sharise enjoyed growing together, and in Christ, as they explored Atlanta, went on exciting trips, and continued to work hard at their careers. Nearly two years later, Rich and Sharise made the decision to move to Charlotte, NC to expand their careers and be closer to both of their families. They packed up their belongings and moved to their new place on Wednesday, February 25th. 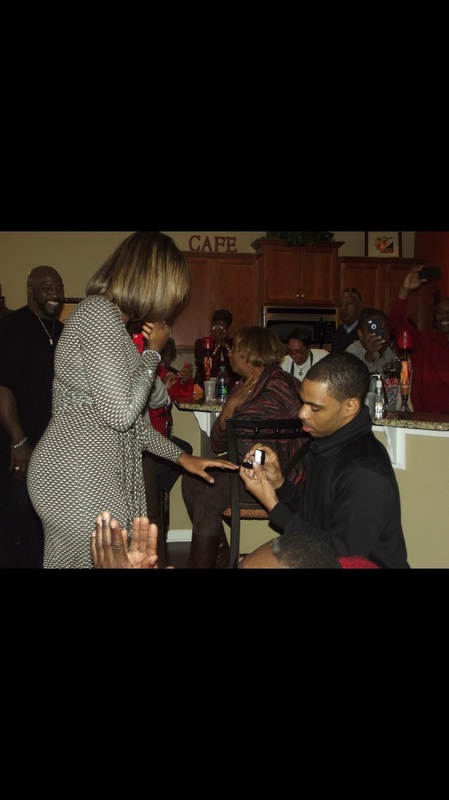 And on Friday, February 27th Rich surprised Sharise by asking her to be his wife.